We may not have snow—yet—but it's still great weather to fat bike in NYC. Whether trails are muddy or snow covered, a fat bike is easier (and more fun) to roll around on than your mountain bike. What makes them so special is that fat tires track through mud and rutted trails with more ease and less impact to the trails themselves. Meaning instead of cursing your mountain bike when it's stuck in yet another puddle or you have to walk over another patch of snow, you can cruise along, enjoying the new experience. You can treat a fat bike like you would a mountain bike and test out the trails, from those close to home at Cunningham Park in Queens, to the more far-flung trails at Sprain Ridge Park north of the city, and even more within 30 minutes of midtown. If you're looking for different conditions, fat bikes are also a blast in the sand. Head over to Coney Island or Rockaway Park (in the offseason, not the height of summer!) for a new way to play on the beach. If you want to crank the day away, start at Sandy Hook for some beach sections and then mix it up by heading to Hartshorne Park for some awesome trails. 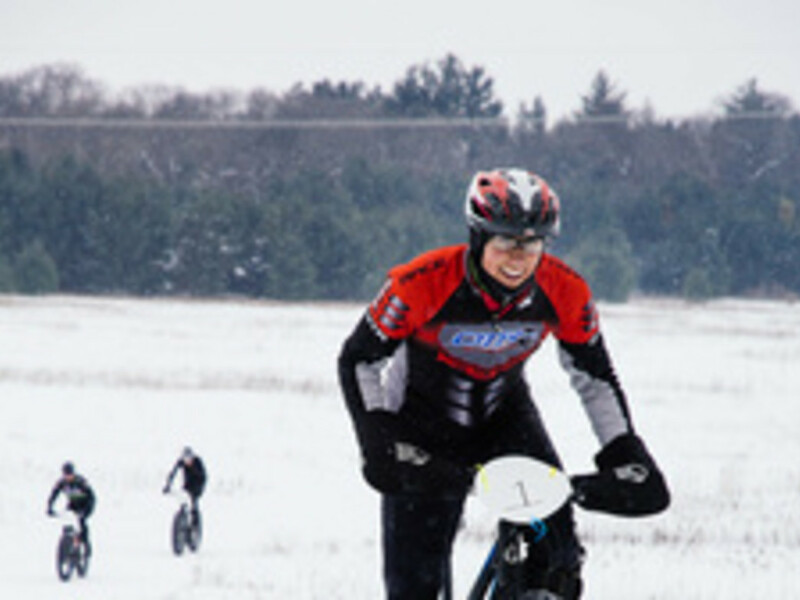 The International Mountain Biking Association (IMBA) has a few suggestions for those heading out on the trails in the snow. They recommend wide tires, wider than 3.5 inches, if the snow is deep. PSI in your tires should be lower than on your hardtail mountain bike, generally less than 10 PSI, but varies somewhat based upon tire size, conditions, and rider's weight. When you roll over snow, you should be able to keep the bike rolling in a straight line easily, and leave a rut less than an inch deep. And of course, be careful when riding in winter conditions, especially as everything begins to melt and new hazards appear. If you're new to the sport, consider trying flat pedals at first, to make bailing out easier when the going gets tough, and to make the walk easier in hike-a-bike sections of trail. Follow these tips for dressing and general winter outdoor advice. And, since it bears repeating: remember to keep a spare charger for your cell phone, since batteries don't last as long in chilly temperatures. If you're not quite ready to buy a fat bike, there are plenty of rental options in NYC. Try out Revolution Bicycling or Cycle Haven for decent prices on rentals, and get out on the trails!